is the oldest manufacturer of opalescent and cathedral stained glass in the U.S. Some of the breeds included are: Labrador retrievers, terriers, dachshund, poodle, beagle, corgi, spaniel, Australian cattle dog, basset, German shepherd, Samoyed, mountain dog and Siberian husky. Jillian Sawyer has chosen to infuse a little humour and a touch of cheekiness into this selection of witches, wizards, sorcerers and their familiars (cats, bats, rats, frogs, owls, crows, etc). The resulting characters are delightfully wicked, deliciously delirious and sometimes downright garish! 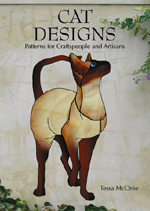 This collection of lifelike designs features cats in a variety of poses from playful, aloof and engaging to the oh so relaxed postures only a feline can achieve. Many designs are less than 30 pieces which makes for an easy project whatever your skill level. 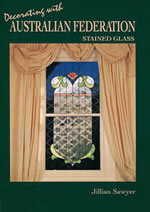 Over 80 patterns of birds, butterflies & flowers in classic design for sidelights, transoms & windows. 64 pages, 38 in full color. 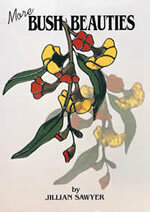 A treasury of birds, wildlife, & flowers from down under. Anatomically correct parrot, Koalas, kangaroos, orchids, butterflies, frogs, & more. 34 pages, 6 in color. Australian flora and fauna stained glass suncatchers. 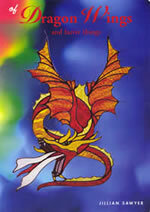 (This book is a combination of most designs from two previous, now out-of-print titles.) 56 pages, 26 pages in full colour, over 55 designs. 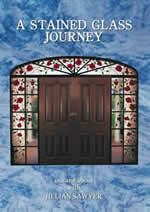 Over 60 designs for door inserts, sidelights & windows. 64 pages, 20 in full color. 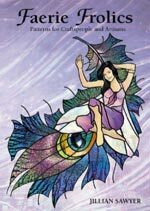 Fanciful creatures abound in this new suncatcher book, including dragons, faeries, goblins, faerie drops, crystal faeries & a unicorn. 56 pages, color throughout. 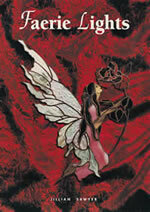 Journey into the world of faeries with Australia's finest stained glass designer. Twenty-four original designs, each shown in full color. 56 pages, 28 in full color. Over 30 stained glass frog designs. Includes suncatchers and panels of frogs; some featured with flora and one with a crocodile! 56 pages, 26 in full color. 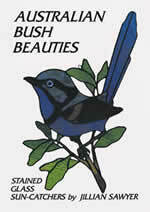 Contains over 30 patterns of birds, wildlife & flowers of Australia. Exotic orchids, parrots, dolphins, butterflies, frogs, even a spider. 42 pages, 8 in full color. 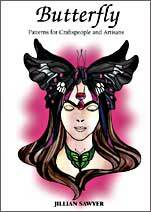 Fantasy butterfly ladies, Art Nouveau stylised moth and butterfly, a variety of flora with butterfly/moth and lifecycle arrangements. More fabulous fairies; some on their own or with flowers, while others are playing with friends like a rabbit, butterfly, grasshopper, beetle, bird, caterpillar, dragonfly, moth, frog, gecko and even a hornet! Orders will be shipped Fed-X Ground - Unless otherwise specified.